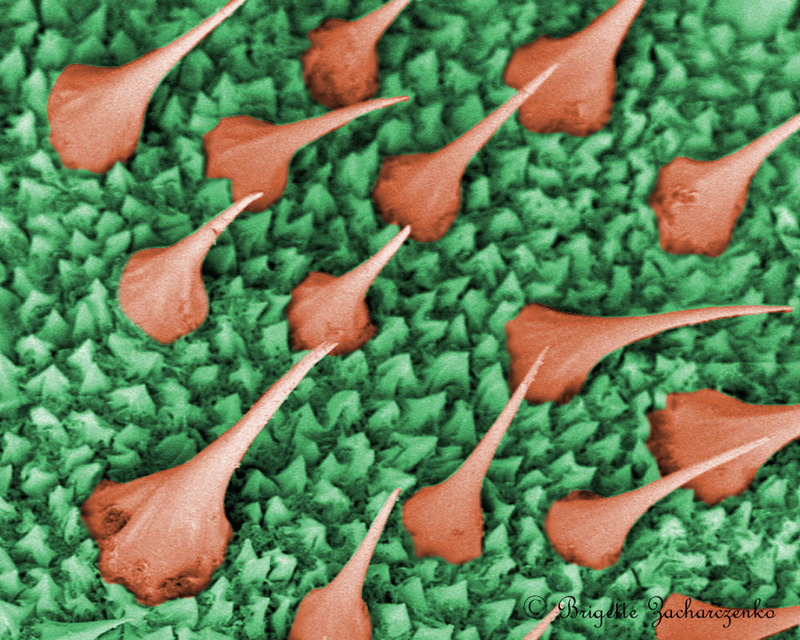 Here is my first attempt at colorizing an SEM image (using Photoshop Elements 8). 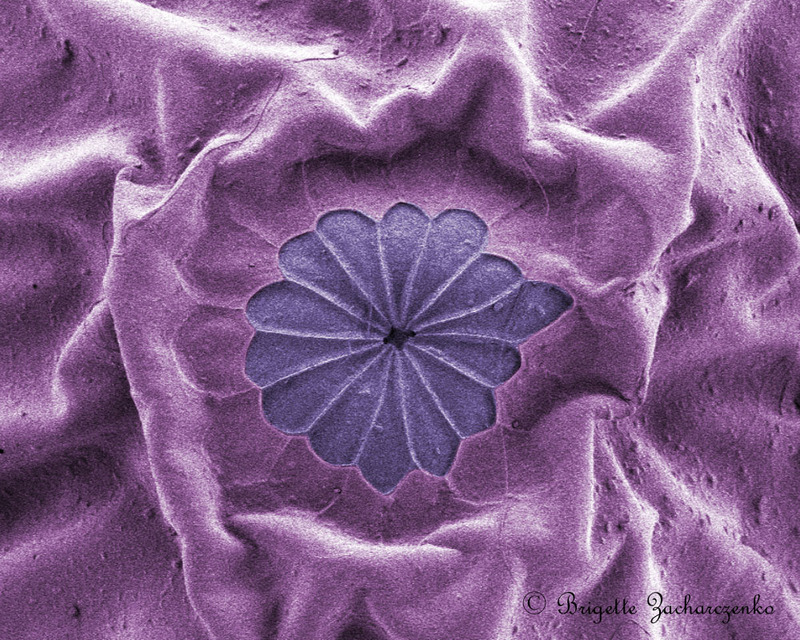 This is the micropyle of a moth egg in the genus Acronicta. As you can probably guess, it is not these colors in real life. And this is the skin texture of Acronicta afflicta. Again… they are not green and orange. This was tougher and I got a little lazy with my selection (and using just the touch pad on my laptop makes it tricky) but the effect is pretty cool. Posted on February 4, 2012, in Acronicta, Acronictinae, Invertebrates, Lepidoptera, Noctuidae, SEM. Bookmark the permalink. Leave a comment.